Note: Replace the DestinationDB by your database name. 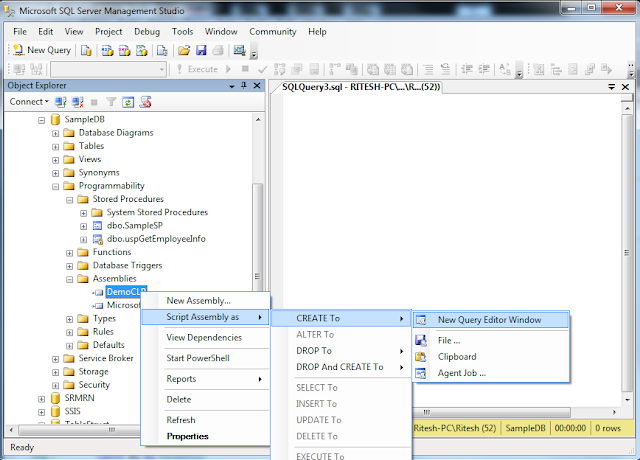 From above script find out path of .dll file of CLR stored procedure. In above script it shown in bold characters. In this example it is: F:\Projects\DemoCLR\DemoCLR . 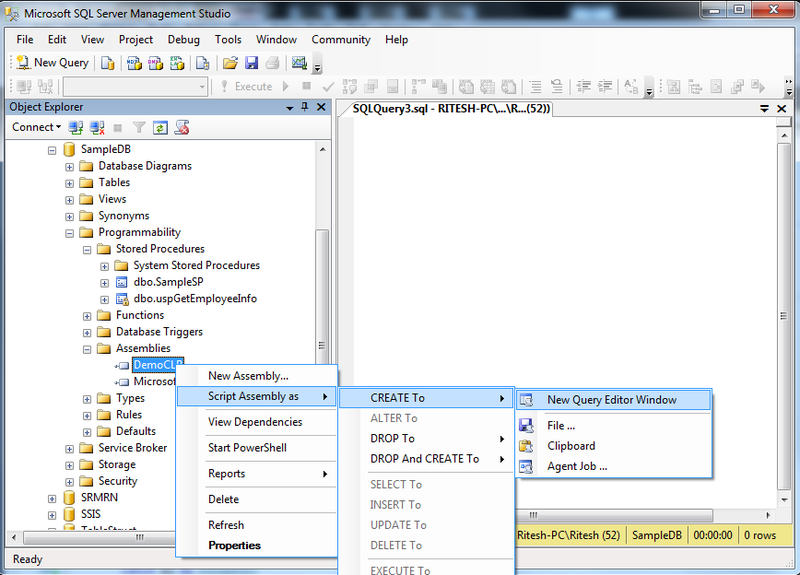 Copy the .dll file (In this example DemoCLR.dll) from that path and copy it destination sql server where you want to create clr procedure. Edit the path in above script according to path of dll file in destination sql server in above script and execute the above script to create assembly. Execute the above script in the destination database. How to create CLR stored procedure in visual studio 2010 in vb.net.